From one-story retail storefronts to multi-office high-rises, 3M™ Commercial Window Films are the ideal solution for keeping customers and office workers comfortable, while also protecting your valuable merchandise and assets. Recoup your costs quickly – see a return on your investment in as little as 2 to 3 years. 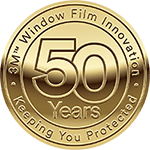 A free on-site consultation examines solutions with film samples, a complete analysis of the glass surfaces in your business, and a no obligation proposal. These high-performance window films are a clear choice for improving energy conservation, protecting your building, and keeping your workforce safe and comfortable. An astounding several hundred of layers of optical film – thinner than a single sheet of paper – significantly reduces heat and UV rays. The Prestige Series is one of the greatest advancements in the window film industry. Leaving glass crystal clear or lightly tinted, this film protects your space and all of the office assets or merchandise inside. The Prestige Series performs best when the sun is high during the hottest parts of the day, eliminating 97% of the sun’s heat-producing light from penetrating the window. This is the most effective film for saving on energy bills and giving commercial tenants a cool and comfortable workplace. Plus, its lower reflectivity enhances the beautiful bird’s-eye view from the top floor or the bustling street below. By rejecting up to 80% of the sun’s heat and 99% of UV rays, advanced ceramics give your business the protection it needs, while the film maintains its color and appearance for the look you want. The scratch resistant coating lets you enjoy unmarred views inside and out. With a variety of tint levels to meet your needs, the natural tones maintain the clarity of the glass. It also helps reduce fading, so your investments remain like new. This medium-to-dark shaded film provides better sight at night in a cooler, more comfortable environment. The Night Vision Series blocks up to 78% of the sun’s heat and 99% of harmful UV rays. The low interior reflectivity lets you enjoy the views outside your business at night but preserves work privacy in the daytime. If that wasn’t incentive enough, there’s also an added benefit of reducing your air conditioning costs with this energy-saving film. 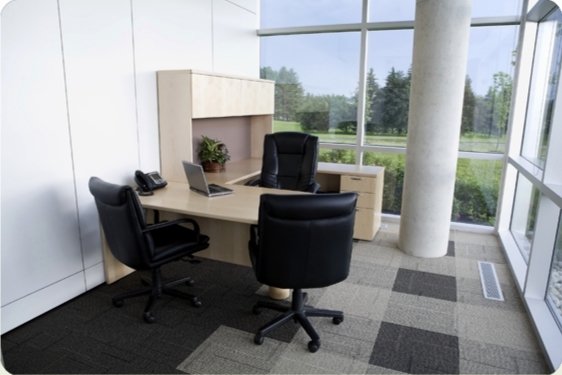 Thinsulate™ window film works nearly as well as adding another pane of glass. Designed for year-round climate control, this Low-E film keeps your workspace comfortable. Energy experts recognize window film as a technological advancement for energy conservation with one of the fastest returns on investment. Some utility companies even offer incentives for this. By rejecting the sun, you use less energy, also resulting in a reduction of carbon emissions and an increase in sustainability. Since it’s nearly invisible, clarity is left unchanged. Windows don’t have to be vulnerable in the face of break-ins or severe weather. Keep dangers out with our 3M™ safety and security window films. Designed with a thicker adhesive, the film holds glass fragments together, preventing injury from flying glass, tested at speeds up to 170 mph. The adhesive also creates a strong barrier that deters criminals for two minutes or longer, enough time to diminish smash and grab crimes. This added layer of security can be combined with the Prestige Series or Night Vision Series for even more solar control and enhanced views at night. No unsightly bars or dark tinted windows; just crystal clear protection for your business. Make an exciting first – and lasting – impression with DICHROIC glass finishes. Depending on viewing angle and the lighting, this film takes on a new color or look that sets your space apart in a unique way. Available in both warm and cool tones, this film is ideal for artistic glass and can be printed, cut, patterned, or bent. Use it on exterior or interior surfaces to create visual interest, while still maintaining privacy and sun control. Avoid the high cost of specialty glass. Turn windows into the efficient, privacy, or design solution you’ve been looking for. During a free consultation, our 3M™ certified installers will find the right solution for your building. As the area’s largest and most experienced authorized 3M™ dealer, we at Carolina Solar Security stand behind the protection and performance of our window films.